Recently, we’ve been posting quite a lot of articles about the updates in our drop shipping software. We understand that this flood of products might be confusing for some of our readers 🙂 So, if you’ve lost track of the solutions that we offer, here’s the latest guide on our tools and services! Maybe, you remember it, maybe, you don’t, but historically, AliDropship company has started as an experimental local project. At that point of time, we were just a bunch of enthusiasts who worked on their own drop shipping stores. This priceless first-hand experience of organizing the daily management routine helped us understand a life-changing thing. We realized that if we create some software that automatically performs some of the most important drop shipping tasks, we can turn this business around – and support hundreds of entrepreneurs across the globe. 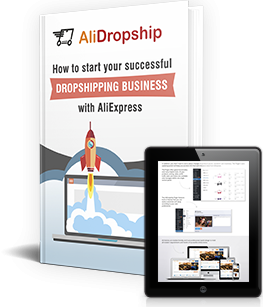 AliDropship plugin was the first drop shipping-related product that we have developed and introduced. We tried it on our own stores first, and documented every step of this experiment on the most reputed eCommerce forums: Warrior Forum, Digital Point, and BlackHatWorld. The plugin’s success was astonishing. Our own experimental stores started performing better than ever thanks to the plugin. 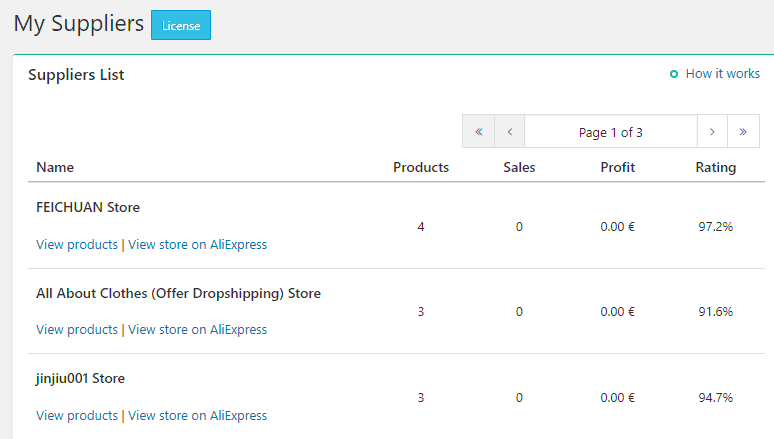 The external AliDropship plugin users got satisfied with the product, too! Our forum writings turned into the most popular threads in the history of eCommerce sections of Warrior Forum, Digital Point, and BlackHatWorld. Even the first plugin buyers spoke very highly of it, and we realized that a huge audience needs the solutions of this kind. So, we started the testing and development of new, supplementary drop shipping software that serves the same purpose – making the entrepreneurs’ lives easier and better. This process never stops: there are so many aspects of managing business that can be upgraded! This is why these days, several years from our journey’s beginning, we offer our customers a wide range of handy drop shipping tools, and there are more to come! Don’t forget to check this list once in a while to learn about our newest products! 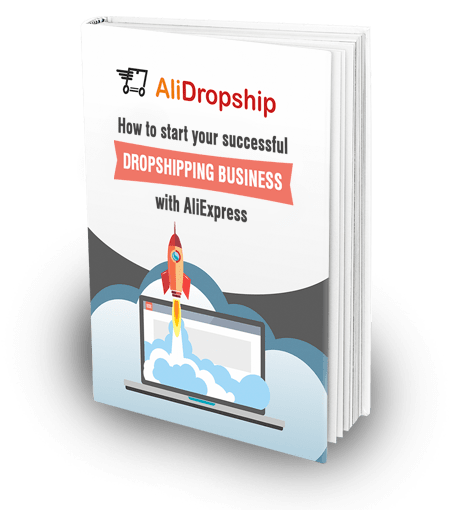 In this section, we will talk about the AliDropship solutions that help you create an online store that automatically performs some of the most important drop shipping tasks. This plugin is the foundation of all our products and services. It’s the tool that transforms your vision of drop shipping business! 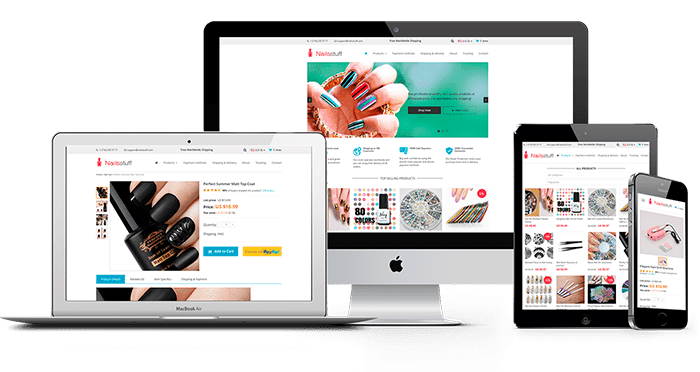 Simply speaking, the plugin can turn any WordPress website into a fully functional drop shipping store with all the vital elements: product pages, shopping cart, payment gateways, etc. Save your time with semi-automatic management functions like product info updating, price setting, orders fulfillment, packages tracking, etc. In other words, AliDropship plugin lets you enjoy all the benefits of drop shipping and have no worries over the technical side of this business. Here is a more detailed plugin review if you need it! By the way, the plugin is perfectly compatible with WooCommerce websites as well. Read this article to learn more about the differences between the original AliDropship plugin and the AliDropship Woo plugin versions. A sceptical reader will say that an online store is not exactly a piece of drop shipping software 🙂 Still, it’s a turnkey solution that we offer, so it would be unwise to stay silent about it! In fact, ordering a custom store is the easiest way to receive a ready-to-operate business that is optimized to start bringing you profits from day 1. To get an idea of the amount of work that is required to set up a moneymaking drop shipping store, just watch this video! And now, imagine that you don’t have to worry about any of these tasks. All of them are carefully done for you by our specialists! Isn’t a custom AliDropship store, indeed, the best all-inclusive solution to get an independent self-owned business with no hassle? Have you already built your awesome drop shipping store? Great! Now, it’s time to let everyone know that you have one! Kate, one of our colleagues responsible for testing and improving our company’s self-owned drop shipping stores, says that she spends several hours every day to create perfect advertisements and decide where to place them. Thanks to her promotional efforts, the store that she runs has an average monthly income of $32,000! It’s hard to overestimate the importance of marketing for the growth of a drop shipping business. This is why we have developed a number of additional tools that help you boost your sales, increase your profits, and save even more time that is typically spent on marketing tasks. Motivate your store visitors to BUY NOW! This add-on lets you create catchy notifications on your product pages. You can modify the settings and change the sale duration and the amount of products available to create a so-called ‘fear of missing out’. Certainly, your guests won’t like to miss out an appealing offer! Therefore, they will be more likely to complete their purchase with no second thoughts – and bring you a bigger profit than usual! Heighten your visitors’ interest in your store! Thanks to this add-on, your guests will see the bursting activity on your website. It will let them understand that lots of other people are safely buying products from you, and there’s no need to worry about the reliability of your store. Besides, as they will see the exact products that have been purchased, it will give them even more ideas of the items they can safely buy from you. Promote your store in 4 social networks at once with no extra efforts! One of our clients, Asif from India, runs a $52,000-revenue store with $2,000+ monthly profit. 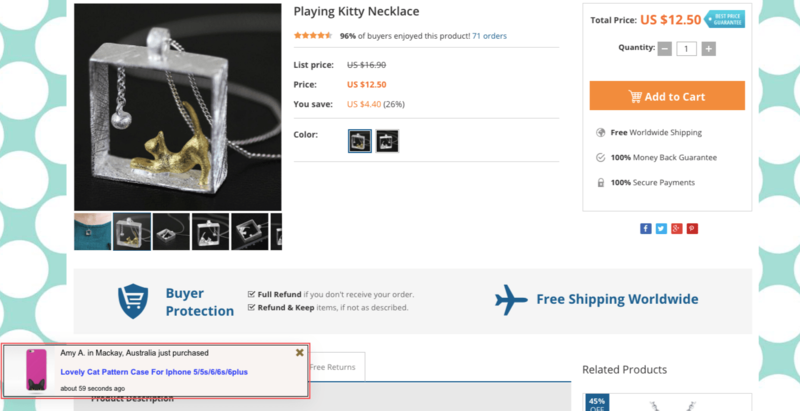 He uses both free and paid advertising methods to grow his venture, and explains that he managed to use a free promotional channel thanks to another AliDropship solution – Social Rabbit plugin. You can achieve a similar level of success, too! 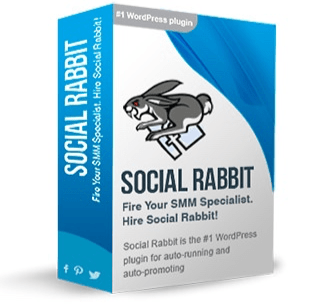 Our Social Rabbit plugin can automatically promote your store across 4 social media platforms: Facebook, Instagram, Pinterest, and Twitter. With its help, you can not only create engaging human-like posts, but also raise awareness about your store and attract new followers easily. As for our estimates, this plugin saves you about 6 hours every day! How about dedicating this free time to more urgent tasks? Create highly efficient Facebook ads in a blink of an eye! If you have ever tried making Facebook ads, you know it’s really challenging and time-consuming to create the so-called product catalogues – the basis for the your product-related ads. Nevertheless, these ads show incredible results! Our client Alan from China says that he spends about $2,000 on Facebook and Instagram advertising every month, and, as the result, he has an average monthly profit of $17,000! It would be really sad to miss out such incredible opportunity to make money just because of the inconvenience of Facebook ads setup, right? 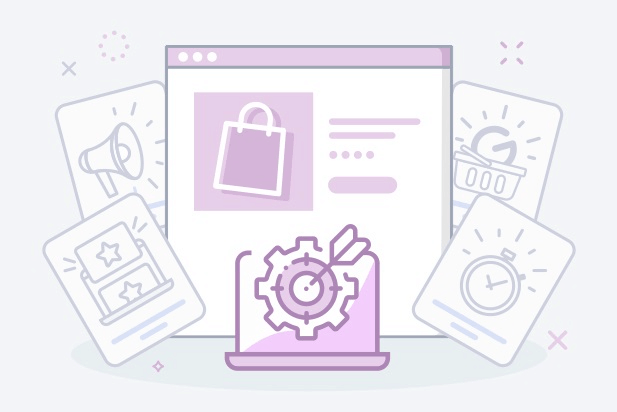 To solve this issue, we have created Facebook Business add-on: it organises the store products into a special logical system, and automatically creates a catalog that you can later use as the foundation for your Facebook ads. Isn’t it a brilliant opportunity to cut down the time expenses and simply enjoy the financial effect of the ads? Make your store visible on Google and YouTube! Do you want to showcase your products on Google Shopping platform? Martin from the Netherlands made over 4,100 Eur in 30 days of running his business, and, in his experience, AdWords text ads and Google Shopping promotion were the 2 most efficient ways to generate revenue. 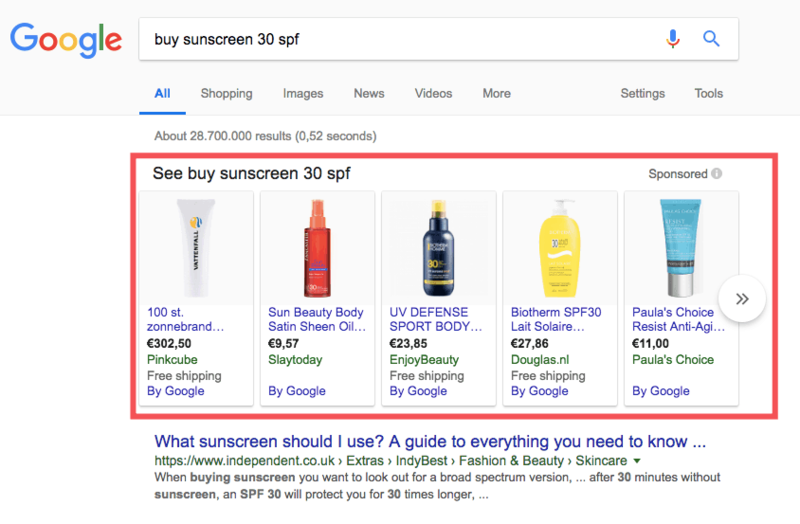 To help you create winning Google Shopping ads and get your products featured on Google Search, Google Images and YouTube, we have developed the Google Merchant add-on – feel free to read more about it here! Increase the average purchase volume in your store! Are you happy when your store visitors purchase 1-2 items from you? Would you become happier if your guests bought 4-5 products in a single order? We know how to scale up your average check size! Upsell add-on is specifically designed to inspire your potential customers on adding more items to their shopping carts. Just attach 2-3 complementing items to your store products, and give your buyers more interesting ideas about the awesome things they can buy from you! Learn which of your suppliers plays the most important role in your business growth! Do you know which of your AliExpress sellers supply your store with the most demanded items? Have you any idea about the suppliers who are the most highly valued by buyers? With our My Suppliers add-on, you can easily identify the best suppliers you currently have, and build even more efficient partnerships with the leading industry players! Save $63 and benefit from the joint power of the six profit-oriented add-ons! Do you want to cut your expenses, but still get the awesome drop shipping software? Thanks to our Add-on Bundle, you can get 6 amazing promotional add-ons with a noticeable discount and save $63! Read more about this offer here. Since we’ve started to talk about saving money, it’s an appropriate moment to mention that AliDropship has a number of free add-ons! That’s right – you can enjoy our promotional solutions and boost your business with no extra expenses! Let your visitors know that your buyers are IN LOVE with their purchases! Do you know how important it is for online shoppers to know that your business is trustworthy and your products have a perfect quality? 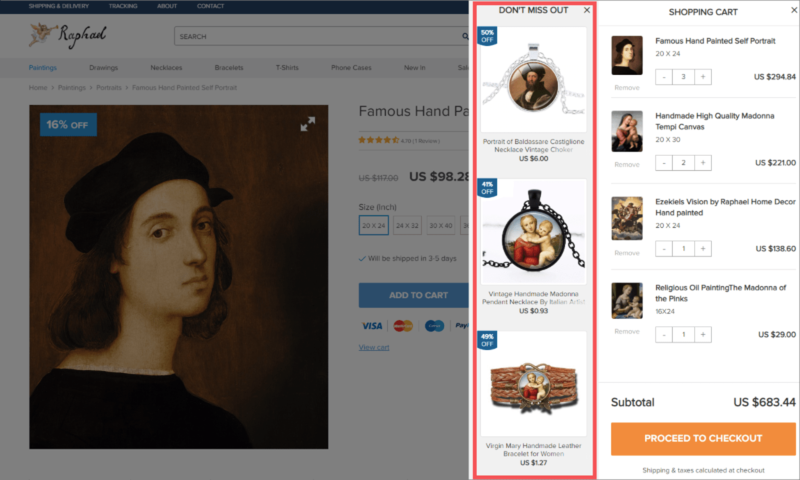 To help them make their purchasing decision and to stimulate them on impulse purchases, you can safely use our Customers Gallery add-on. With its help, you can create a lovely gallery out of the happy buyers’ pictures. What is more, you can link each of these pictures to the the product this person is demonstrating. Certainly, it will give a major boost to your store reputation and your revenues! Get in touch with the visitors who left your store without making a purchase! Our client Pirn from Estonia uses email marketing as one of the most efficient instrument to promote his drop shipping store. With a 90% open rate and a 85% open rate, there’s no wonder that he makes $10,000+ in monthly revenue even with a 0 previous experience! If you want to use the power of email marketing as well, start with our free Abandoned Cart add-on. It lets you send appealing emails to the people who left their shopping carts without making a purchase. These clients already got interested in your offers – why not persuade them to finally order the things they liked? Add only the greatest AliExpress items to your drop shipping store! As you can see, it’s a sort of a product database. As of today, it consists of over 50,000 items, and the list is growing daily. We’ve selected the most demanded and high-rated AliExpress items, and brought their descriptions to perfection. 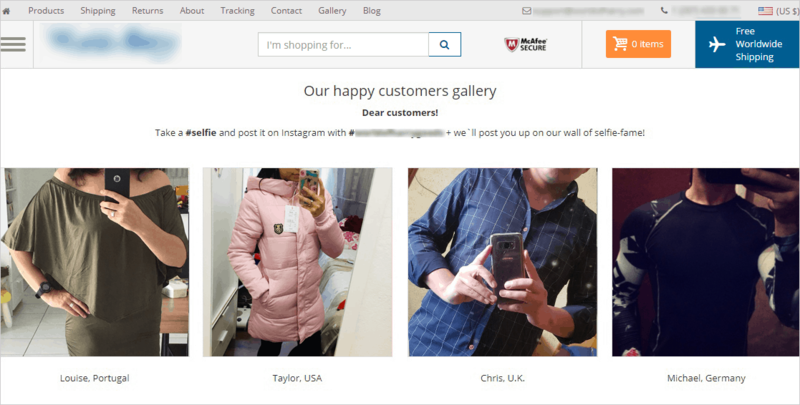 It means that you don’t have to spend endless hours on browsing AliExpress, and you certainly don’t need to take any efforts to edit their picture galleries and descriptions. It has already been done by us for you! All you need to do now is click the ‘Import’ button and add these wonderful items directly to your store. The best part? You can import up to 50 products for free! Get the relevant data about your store performance and modify your business strategy in the best way possible! If you want to know where your cash flow comes from, or what channels lead Internet users to your store, you can spend long hours setting up Google Analytics and modifying your tracking code. Alternatively, if you don’t have the right background or the money to hire professional developers, you can use our Google Analytics Enhanced Ecommerce add-on. It collects the necessary data and makes it easily available in the Reports section within your store. This way, you don’t even need to use any external resources to get the priceless stats about your business! 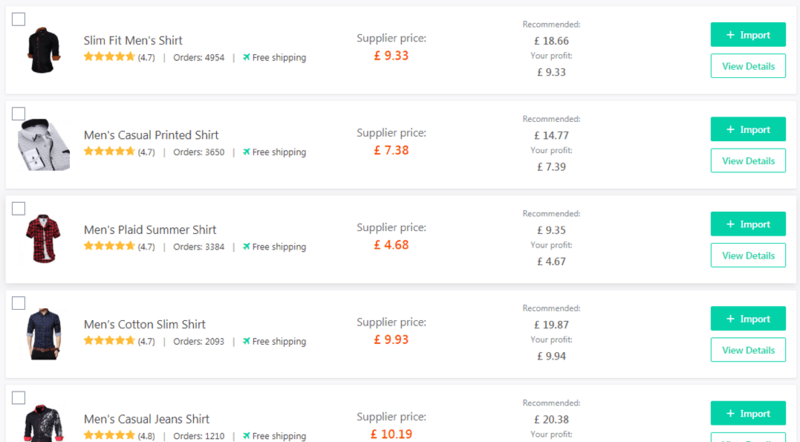 What principles do we use to create our drop shipping software? When you run your drop shipping business, obviously, you don’t need a ‘random’ piece of software. Instead, you want a handy solution that solves your issues. But what should it be, exactly? You can’t even imagine how important is the the answer to this question for us. This is why we actively communicate with the global drop shipping community through our forum. There, we collect the suggestions and preferences from the entrepreneurs all over the world, and do everything possible to help people meet these needs through our products. We even offer our readers to take part in beta testing! This way, we can test our new tools on their production stage, and listen to the audience’s opinion. It gives us the opportunity to tailor our solutions to the clients’ preferences. So, this is how we create the drop shipping software that meets the public’s expectations. So, what are the defining features of our drop shipping software? That’s a pretty much obvious point. For many people, drop shipping model is the only suitable option for starting an affordable eCommerce business. Naturally, they want to have the lowest startup costs possible. This is why they commonly prefer affordable solutions that don’t require massive investments. Curious fact: for the affordable price of $89, we offer our customers the plugin that can turn a basic WordPress website into a fully functional drop shipping store. A number of FREE supporting promotion-oriented products is also available! 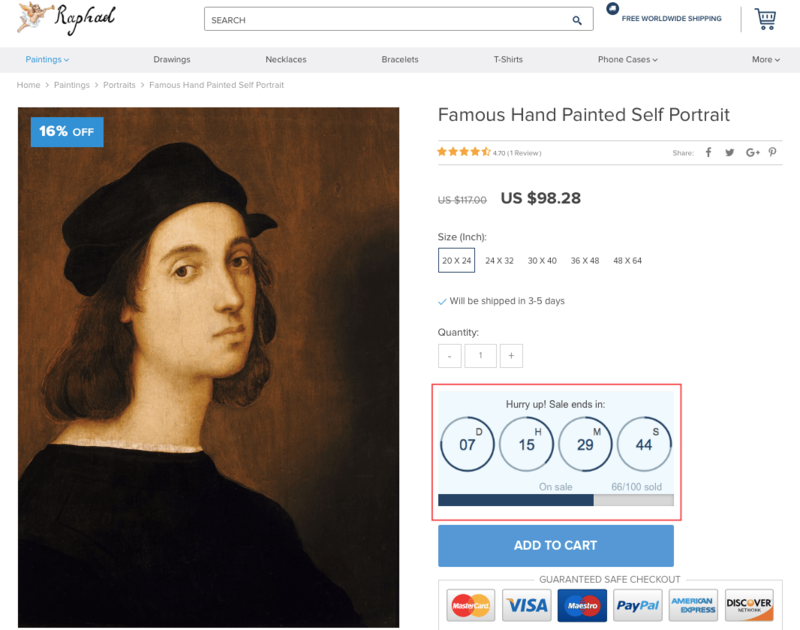 Even a 0-cost drop shipping tool has no value for a user if doesn’t do much. Normally, drop shipping store owners expect that these solutions will help them with the daily business routine. This is why they pick the tools that can perform the basic drop shipping tasks automatically. The range of these tasks is quite wide – actually, almost any procedure from niche research to social media promotion can be automated easily. 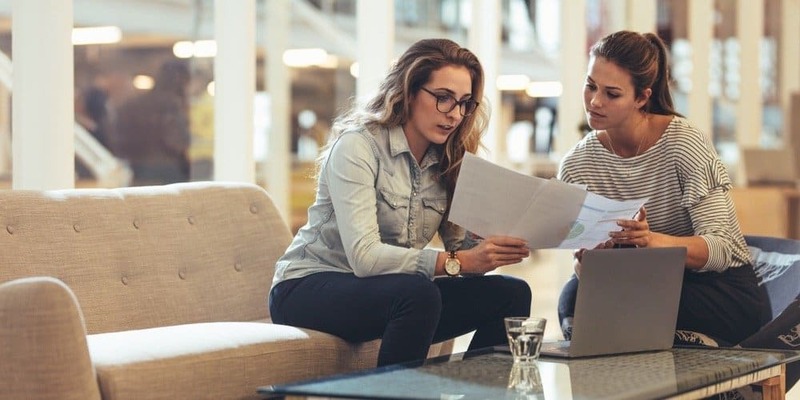 It gives the entrepreneurs the opportunity to find more time for the work that includes the human factor – most importantly, the customer relations. Did you know that? AliDropship plugin covers lots of drop shipping management issues, from searching & importing products to creating a unique and memorable in-store design. What is more, with the help of our add-ons, you can broaden the scale of your business operations even further. If a piece of drop shipping software slows your website down or works incorrectly, it’s obviously not a good choice. The same goes for tools that can only be installed on some specific types of websites. Surely, they limit you in your business choices. Interesting fact: AliDropship plugin works on any WordPress-based website – even if it’s built with WooCommerce! There are differences between the original and the Woo-friendly versions of the plugin, but they are identical in their core. Both of them are aimed on turning your website into a user-friendly and moneymaking shopping destination, and they handle this job perfectly. At the beginning of their drop shipping journeys, most of the newcomers don’t have the relevant experience, and aren’t well aware of the eCommerce world in general. Therefore, they need the intuitive solutions that are easy in daily use, and are understandable to the people of any professional background. That’s curious: the already mentioned Pirn from Estonia, along with Alvaro from Chile and lots of our other clients, had a 0 experience in drop shipping at the moment of the AliDropship software purchase. Still, the lack of the knowledge hasn’t troubled these people’s user experience – they are happily working with AliDropship solutions and making pretty good money with them! When newcomers start to combine their 9 to 5 jobs with a drop shipping venture, they lack a vitally important resource: time. Typically, they can’t even find a couple of hours per day to learn more about the business they’re exploring. Surely, it slows down their progress and doesn’t really motivate them to keep going. To solve this issue, we are offering a wide range of educational materials. They give some basic insights into the drop shipping business in general, and explain how to use our products. Over to you: you can choose any type of our educational materials – just go with your personal preferences! If you don’t mind reading, explore our Guides and Knowledge base – you can find lots of priceless tips there. Alternatively, if you are a fan of videos, take a look at our YouTube channel. Or, if you prefer real-life communication with the field experts, you can hang out on our dedicated forum, and learn from the experience of skilled store owners. That’s it! Now, you know much more about our current product offer and the strategies that we use to create our solutions. Do you have an experience of working with our drop shipping software? Feel free to leave your feedback in the comments section below! Hello Dear,…am grad to know this thank you, I want to start this business but I have no website. Can you built me website to start this business.